Hello invaders, back again here.. 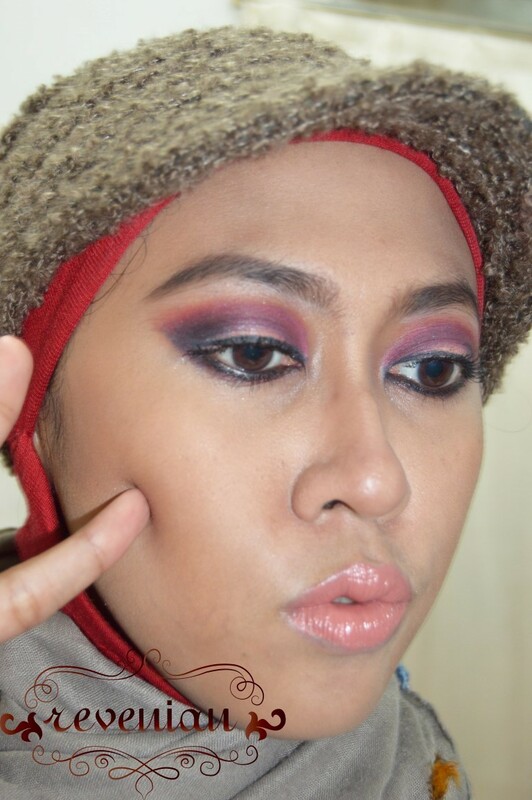 Since the June is officially ticking on and almost end in several couple days, let me tell you as well that IBB has come with another make up challenge. 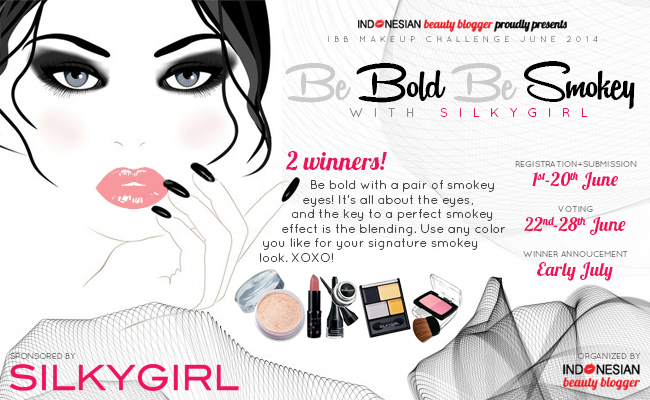 Yess, it’s IBB Make Up Challenge June 2014 – “Be Bold Be Smokey” with Silky Girl. See the challenge info in here. 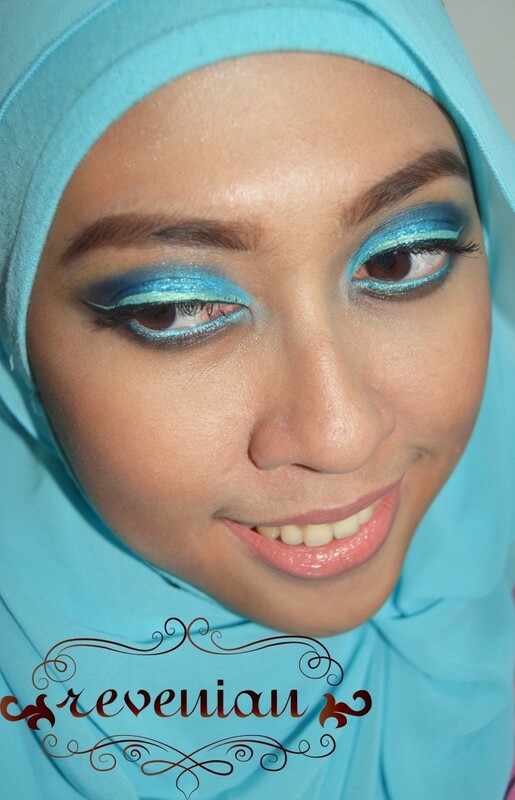 Silky Girl is a cosmetic brand based in Malaysia. You can check them out in here. I am so excited hearing the ‘smokey eye’ one because back then when I still went to work, this kind of look was the one of my go-to favorite. 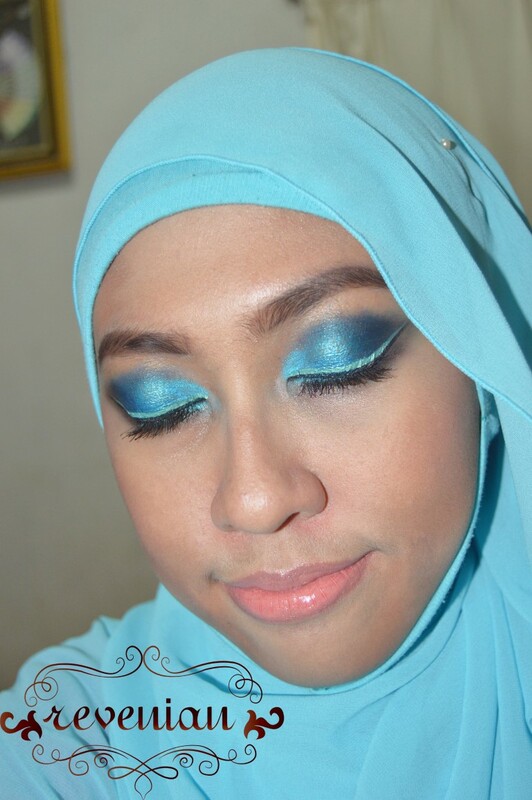 Despite having the bold look, this really made your eyes pop and fresh. 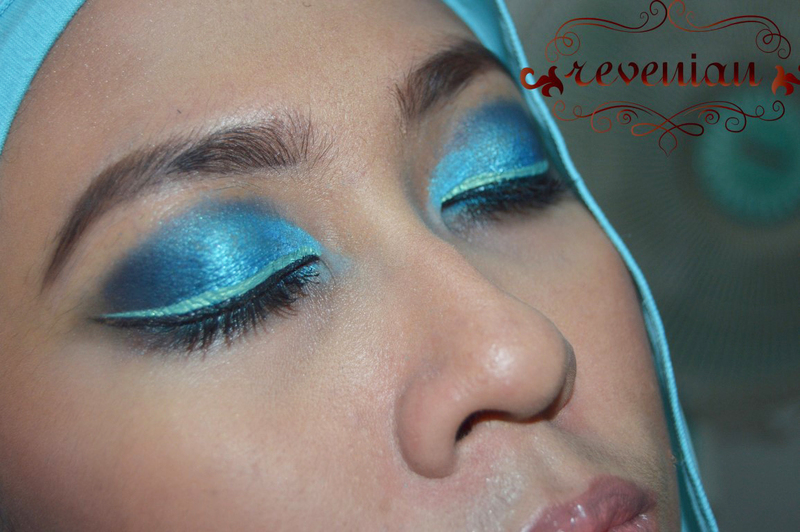 Even, if you can do the color mix, it will accentuate your eye color. 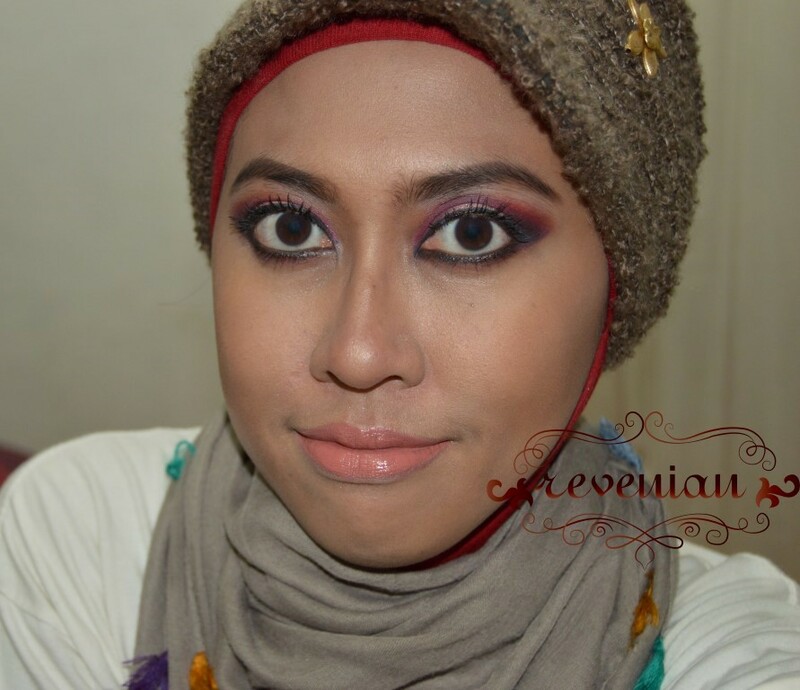 Okay, let me show you my takes on this make up challenge. 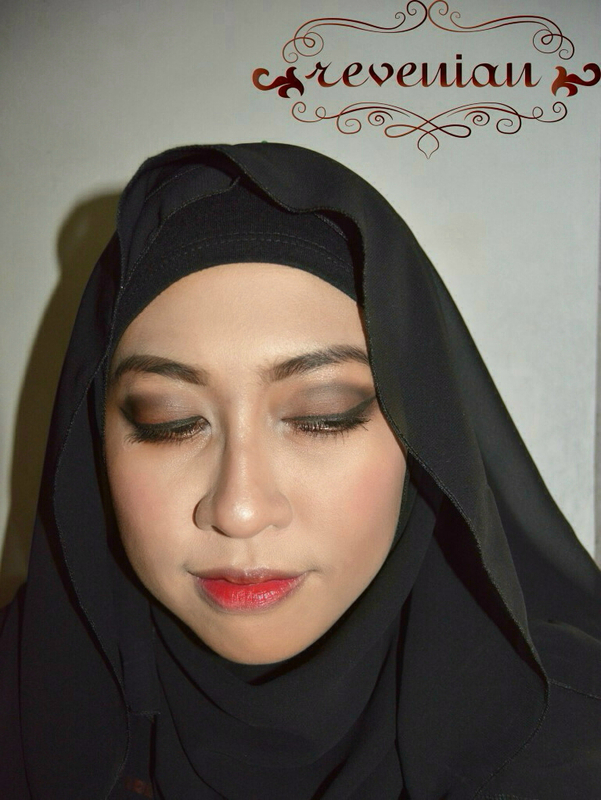 This time, I made 3 looks (as the rules said, maximum 3 looks can be submitted) that came from the classic smokey eyes with a touch of color pop, soft smokey eyes, and super dramatic smokey eyes. The first is a little bit of colorful one, I call it ‘Teal Me More’. It’s the mixed color of light blue, teal, navy blue, black and turquoise blue. Brought the summer into smokey thing, huh? And the second one which I made it with slight of characteristic in it: ‘Vampy Night Out’. 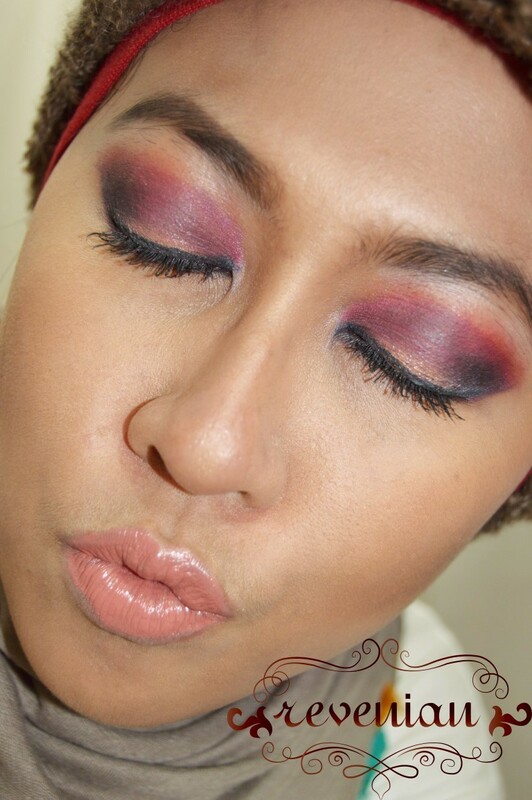 It’s a soft brown smokey one with a gradient blood dark red lips. And here they are. 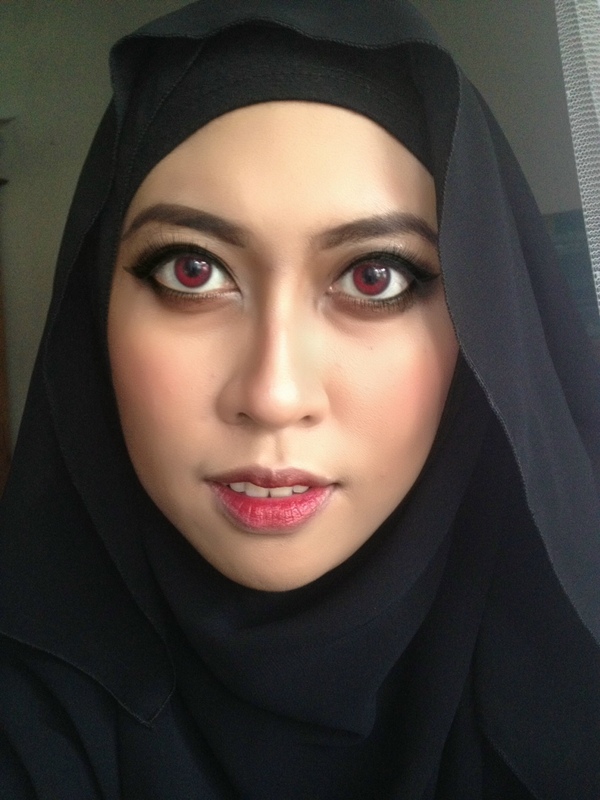 Sorry for the oh-not-so-nice make up result of them, for the Vampy look I did some a little bit brightening and softening effect so they can imitate the pale result on what we assume a vampire looks. Thanks for stopping by and hope you enjoy it. 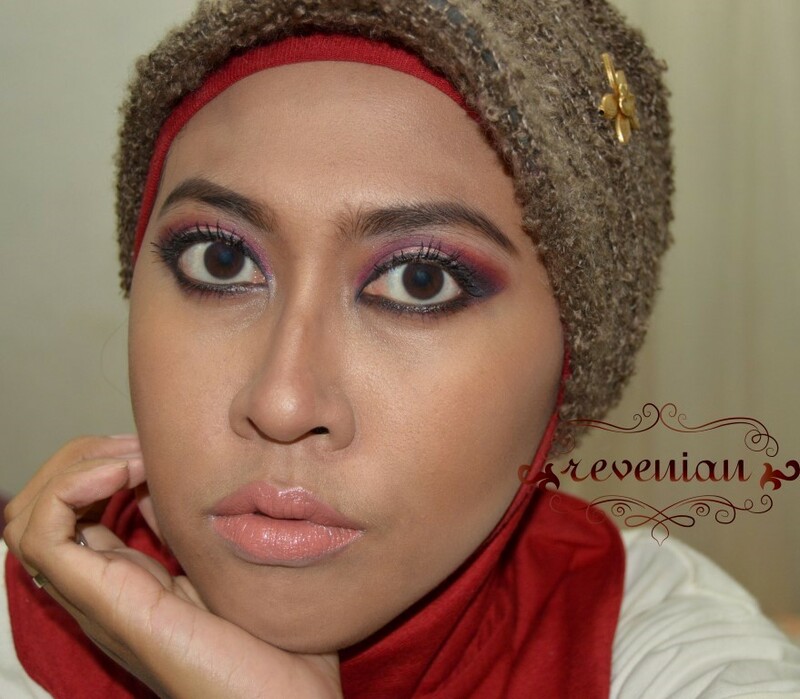 akkhh… Tangkep put..tangkeeeppp!! sebelum mentok atap! Hahaha.. Makasi dear..
sama2 say.. Kamu juga canccciikkk bangettt!!! Dear Vera, makasi banyak ya. Aku bahkan agak ga pede sama yg kedua loh. Hehehe.